Capturing the many unique and interesting experiences in life also draws me to the art of Photography, and the image below represents one of my recent experiences. 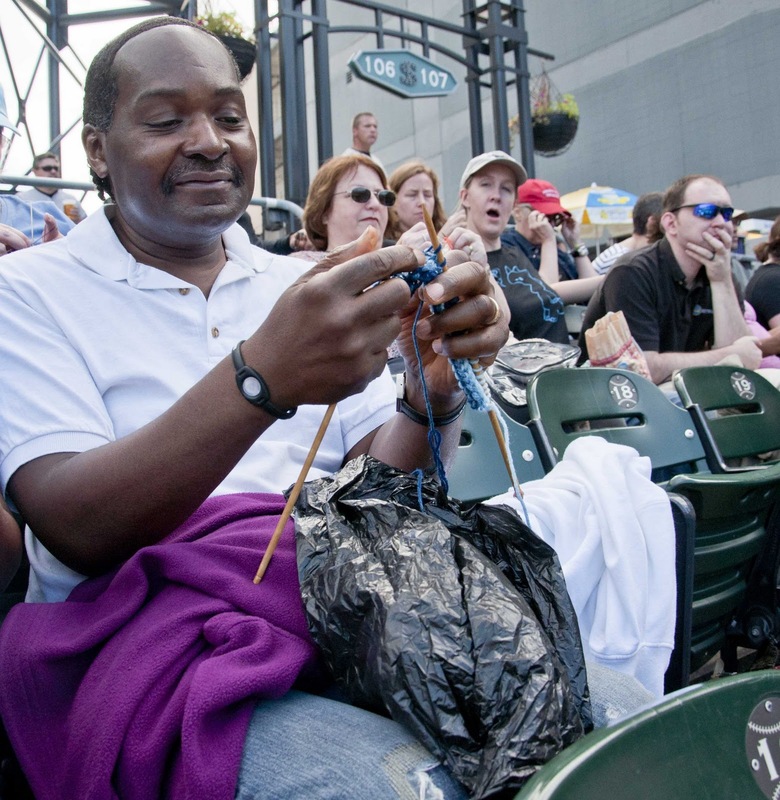 I recently visited Chicago to attend “Stitch and Pitch” which is an held by local Knitting Guilds and Major League Baseball. This was a gift to my niece an avid baseball fan/player and former knitter at the ripe age of 11. The gentleman pictured was attending the same event and agreed to let me photograph him, because “Men Knit Too”! So yesterday I created a post explaining why I chose photography as an art form and while on my quest to learn something new I accidentally deleted the page and the wonderful comments associated with it. I hope I’m getting this right on my second go-round! So I have been taking pictures since I was in middle school and became fascinated with my Dad’s love of taking photos. Seeing the interest and trusting that it would not be fleeting my parents gifted me with my first SLR camera, a Nikon FG, that I have loved and cherished since that time. With this camera I documented many events in Cleveland, OH and many family memories. I dabbled in the craft throughout high school and college and wanted to take it a step further but each time I looked into it as a college student I was told I had to start with Art classes. These classes all started with 101 Drawing which left me feeling intimidated because I CAN’T draw! Never to be turned away totally I signed up for photography classes offered by local community centers and even joined a few groups where I learned a little about developing film. Fast forward to Christmas 2010 and my new Nikon 5000 and the bug was reignited. I enjoy capturing the moments in life, really like to capture candid shots of people and I am now trying to find beauty all around me. In Kat’s “Finding Your Eye” series I hope to determine what really is my “eye” and experiencing even more joy from my photography. This shot is one of my favorites and I believe it sums up what I feel when I’m taking photos – joy, happiness, spontaneity. I have titled it Free because that what I feel when I look at this shot. Well, I’m learning new things today and in the process I have deleted a newly added page. This is my attempt to correct that mistake. I’m behind in many of my endeavors so I’m playing a little catch up tonight. This is a photo for Tracey Clark’s Picture Inspiration Series and the prompt was to capture your feet wherever you might be. 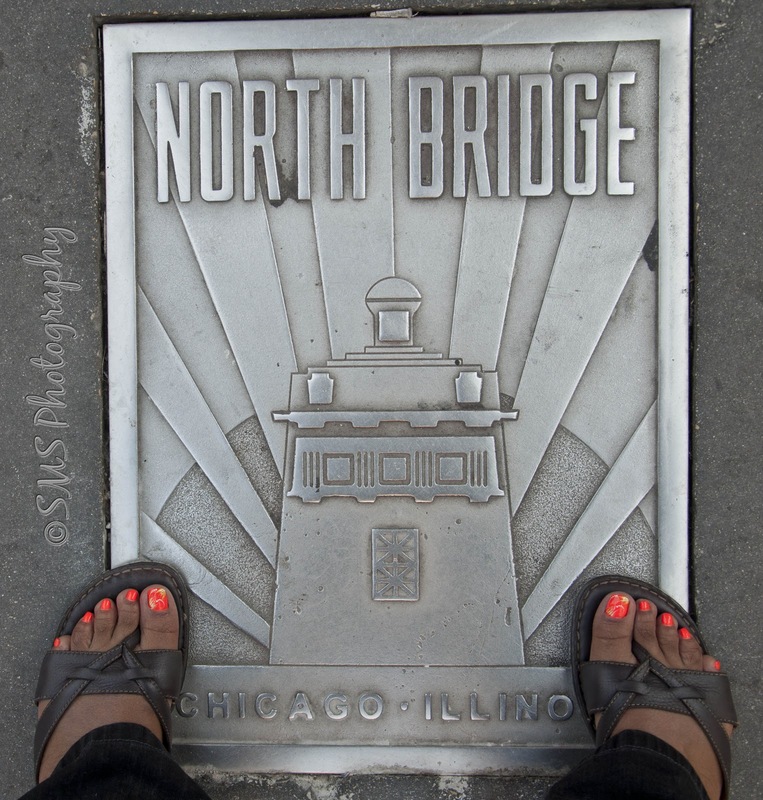 Well my feet were in Chicago when the prompt was issued two weeks ago. When I read it I was excited about the fact that I would be out of town, and then I was ecstatic when I looked down and saw the manhole cover telling me where I was. Enjoy! I had fun shooting this photo! A New Look at Cleveland, Ohio ~ My Town! Okay I am a native of this wonderful city but lately I have been looking at her with a totally different eye and seeing things I’ve never really looked at before, and in some cases never seen before. During a recent walk at lunchtime I pulled out my phone and took a picture of this statue. 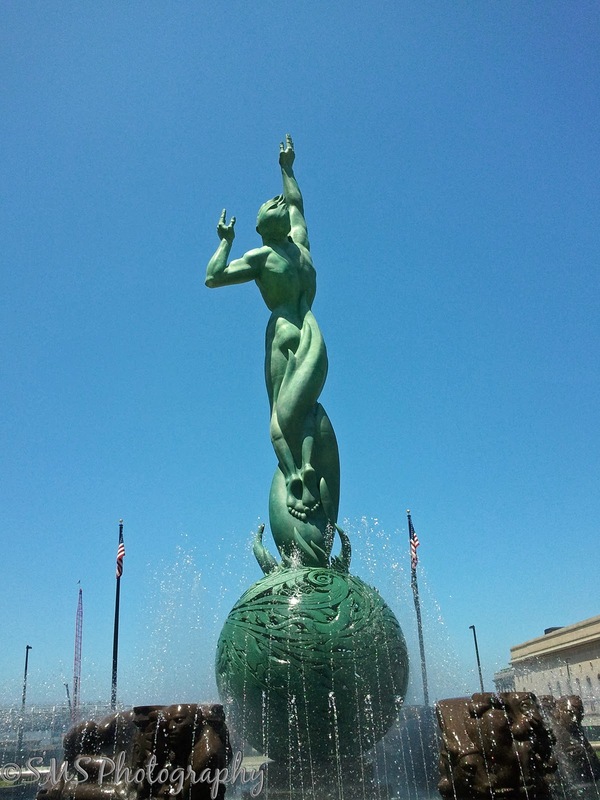 The Fountain of Eternal Life, also known as the War Memorial Fountain and Peace Arising from the Flames of War, is a statue and fountain in Cleveland, Ohio designed by Cleveland Institute of Art graduate Marshall Fredericks and dedicated on May 30, 1964. The sculpture, which serves as the city’s major memorial to its citizens that served in World War II, is situated on Memorial Plaza, which is part of the Cleveland Mall. The fountain was initiated and promoted by the Cleveland Press, which raised $250,000 in donations from private citizens and various organizations for the project. The centerpiece is a 35-foot (10.7 m) bronze figure representing man escaping from the flames of war and reaching skyward for eternal peace. The bronze sphere from which the figure rises represents the earth. Four granite carvings, representing the geographic civilizations of the world, are placed around the sphere. On the surface of the polished granite rim surrounding the fountain are bronze plates bearing the names of 4,177 Greater Clevelanders who perished in WWII and in the Korean War. Following a complete restoration during the construction of an underlying parking garage in connection with the neighboring Key Tower, the memorial was rededicated on Veterans Day in 1991. 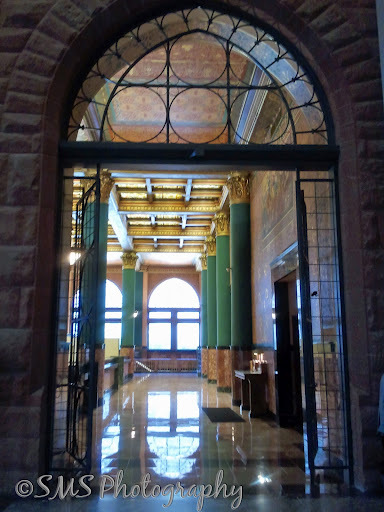 Another great find while walking downtown was this beautiful branch of KeyBank. It is located in the Key Tower, but I suppose since I don’t bank there I had never had a reason to go inside. This particular day I was with a friend who needed to make a deposit. I was floored when I saw just where the tellers were located. Take a peek. Isn’t that awesome? Sites like these further solidify my belief that we should not always look for new to be the next best thing. Author shelleyshockleyPosted on September 22, 2011 July 4, 2012 Categories Cleveland, Fountain of Eternal Life, KeyBank, Ohio1 Comment on A New Look at Cleveland, Ohio ~ My Town! Where do you see yourself in six months or a year? Have you given it any serious thought? If you’re anything like me the answer is probably “I don’t know, and no I haven’t thought about it.” Well I can’t say I don’t think about it, but plan – WHAT’S THAT! I’ve always been a go with the flow kinda girl. Now that doesn’t mean I don’t have a plan or idea swimming around in my head, but to put paper to pencil and make a list and plan out my life – that’s no fun! Where’s the spontaneity in that? 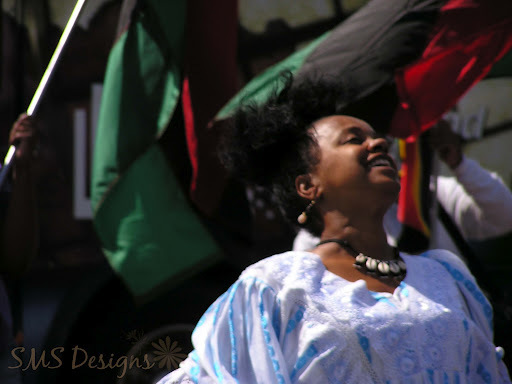 Well the events of the last couple of years have me working to be more focused, organized and really striving for change. I want to be clear in all aspects of my life – starting with organizing my work areas which will give me a clear space to create. With a clear space my mind will be clear of the chaos that clutter breeds thus giving me the time to clearly express myself through words, photos and other creative endeavors. 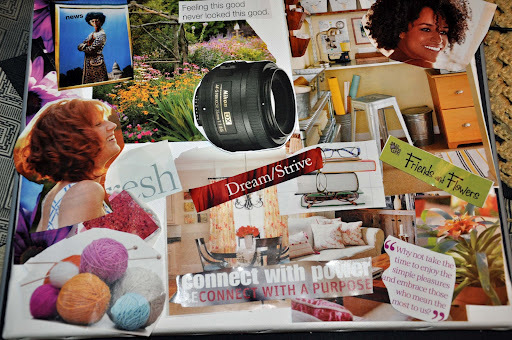 This is a sneak peak of my Vision Board – still a work in progress? Some of the highlights of this board include a neat and organized work area, a new lens to help me create, books, beautiful flowers that add color to my visions. I hope I’m on the right path as I seek Clarity in my life.